While the goal of a PPC campaign manager is to draw as many clicks as possible to certain ads by placing bids on certain words, sometimes the best strategy is to know which terms your audience isn’t looking for. 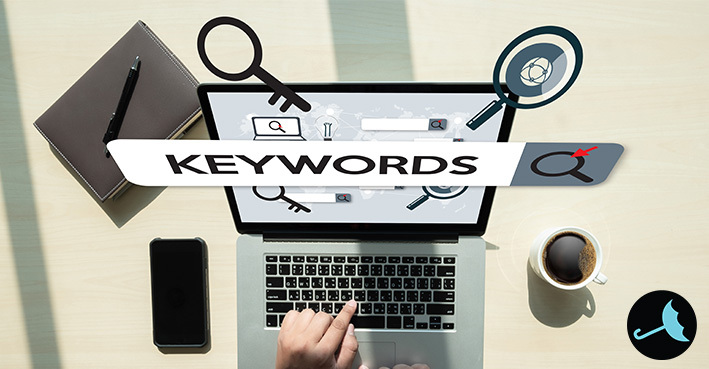 These are known as negative keywords, and you can optimize your campaign by identifying which ones you need to weed out to produce better performance from the terms you want people to click on. However, starting from scratch and knowing which negative keywords to choose can be daunting, and it can sidetrack the work you’re doing quite easily. Negative keywords are the way you send signals to Google that you’re not interested in certain searches, and they can make a big difference between making sales and wasting impressions on queries that don’t apply to you. So, let’s walk through a few ways to make sure you’re picking the right keywords for your campaign. Stick to these, and you’ll be able to trim the fat, so to speak, and make sure your campaign is working the way it needs to! The easiest way to see how effective your keywords are is by poring over the Search Terms Report. It’ll allow you to sort everything by number of impressions, and you can take a look to see which terms were specifically landing. Glance over it, and see which keywords, terms and phrases are performing well for you. Some might be doing better than anticipated, while others that you assumed would perform exceptionally well might be struggling. The report will also let you see which terms aren’t relevant at all but might be getting a lot of traffic. Those are good candidates for negative keywords. Google Ads also allows you to play with the range at which you block certain keywords. While you may want to block very specific words or phrases, sometimes you just need to cast a wider net to take care of a bigger variety of related phrases. But you need to be wary of doing this, because you can accidentally block relevant search phrases if you’re not careful. While manually setting up negative keywords for your campaign can be rewarding and make you feel like you accomplished something, sometimes we just get too caught up in the hustle and bustle of our duties, meaning we can’t devote as much time to everything as we’d like. Thankfully, there are plenty of Negative Keyword tools that will do the dirty work for you. They will scan your Search Terms Report and come up with a list of negative keywords that would work best for your campaign – all without you lifting a finger! Utilizing the right negative keywords can be the difference between your campaign sputtering or firing on all cylinders. Spend some time today to make sure your negative keywords are all squared away, and watch your campaign take off in no time! VitalStorm has the tools, expertise and overall know-how to take your campaign to the next level. For unparalleled strategy and innovation, give us a call at 1-877-311-5695 and take the next step!